Y3 How do I program in LOGO? Is there any way we could make our code simpler? Some of the algorithms repeat instructions. If you have finished, try working through these debugging challenges! And if you finish that…! Start a new file and try out this code. Put pu setxy …. 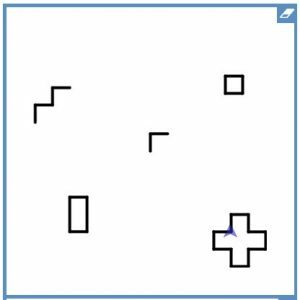 pd between your shapes to draw them on different parts of the screen. Y3: How do I program in LOGO? Try changing the 20 to other numbers and press play to see what happens.